Does anyone want to take a look at the world I have been doing and do some testing for me? If yes, here is the link. I am sure there are some goofs that will need to be fixed before I put it on the exchange. No CC used. I have all except K Perry. I think if you are missing anything those items just will now show up? Afraid my Sims 3 is long gone or I would give it a look see. Hopefully there are still a couple Sims 3 players out there. Thanks for the would if you could. Lots of folks are still playing 3 so hope some will be able to use it when I get it on the exchange finally. I can look at it, later today. Is there anything specific you want me to check out? Thanks so much! Do you use the Nraas mods such as overwatch? I hope there are not stuck sims with routing problems for example. I am working on lot addresses and names now. Redid 3 Wildberry since the last export. Anything you notice that is amiss will help a lot. I also have added level skip markers for many of the attics and dormers. This is a WIP. I don't have any mods in the game. I just installed a few weeks ago to see how my PC would run it since upgrading. I had a sim move into an apartment. I haven't played in so long I can't remember if there is supposed to be a landlord that shows up or not. So far all I noticed is a few addresses that need capitalized. I will check it out some more this evening if my kids let me. It is a very nice world from what i have seen so far. You have done great. I'm getting ready to load the game up again after I start some laundry. So, I noticed some weird stuff around the where the dump is. My sim had a hard time getting into the boat again and it looked weird. She stopped and changed from swimwear to everyday a bunch. And for some reason the apartment is acting more like a dorm. All the sims were living with mine in the same unit. I don't know what was happening. lol I was going to check the markers you had placed, but I can't remember any cheats for 3 at the moment. Also the bridge leading out to the rabbit holes looked choppy on one side. I never tried using bridges in any of the worlds I made. They scared me, lol. I'll play around in it some more tomorrow. Thanks for all the feedback so far. I have redone lot address in CAW and now have to fix them in the game. Apartments do not have landlords but for some reason the game is adding a lot of sims to households all of the sudden. I went to my sim's house and the game had added about 8 roommates! I think it is adding roommates in the apartments too? I sent a sim to a different island and she swam in a bit too. I am not sure if there is a way to fix that. I will play with it more. Thank you so much............. all help is very appreciated. I am doing address changes, so ignore errors there. I fixed the road drop on the bridge to Craigg Island. 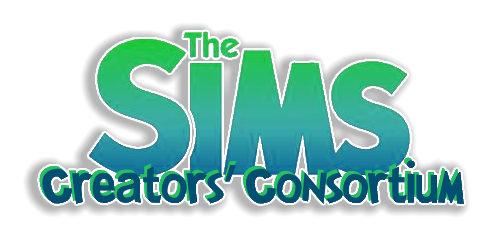 I added more Sims nonroutable paint to that island for areas sims do not need to go. Made it tighter to the lots. I also made the beach from that bridge to the firepit nonroutable and moved the fish. There was no close access so they will fish close to the firepit now. Also did some shore smoothing on Craigg as pretty ragged there. Added a mooring post at the junkyard to see if sims can use it. I think that is current info. I'll play it for a bit today and see if anyone gets stuck anywhere. I may try and figure out the apartment thing. Just did more work on lot renaming. Working on a build for Wind Beach. Having fun! I love to build in 3! That will be great! I have no idea but my game sure added roommates. Maybe yours is doing the same thing? Yes, I think it added roommates for some reason. I don't ever remember it doing this when I last played. Was there some patch I never knew about? I had my sim move to a beach house, and then the car full of roommates showed up! I had to put bunk beds in the house for them all. Hi, I downloaded overwatch and played for a little while. It didn't have any stuck sims so I think you are ok there. Subject: Re: Anyone playing 3?